I can't believe that it's almost the end of October, which means it's almost November which is my favorite month of the year because it's my birthday month. And also Halloween is just around the corner. 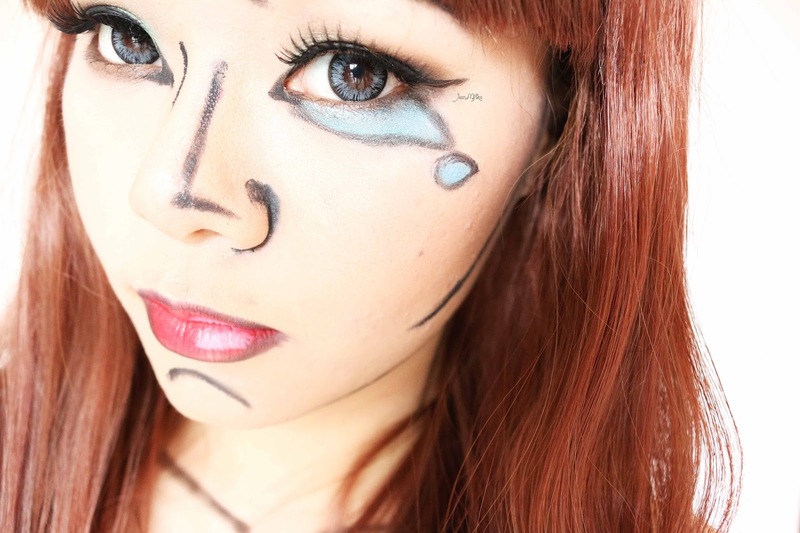 Since I have been active on my youtube channel for a couple of months now, I finally have a my very first Halloween Makeup tutorial. 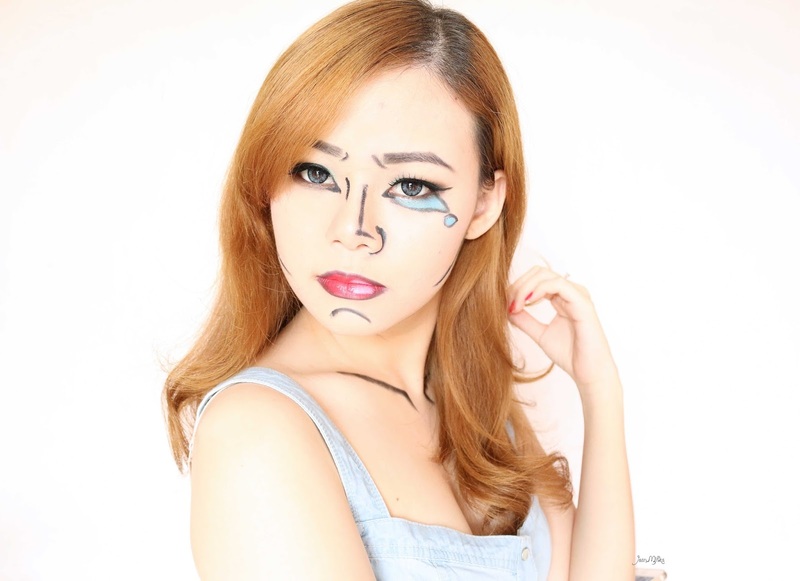 I was debating about should I create a Halloween makeup tutorial or not. Honestly saying, I have zero experience in special effect makeup especially those kind of horror, zombie, creepy makeup that involving blood. 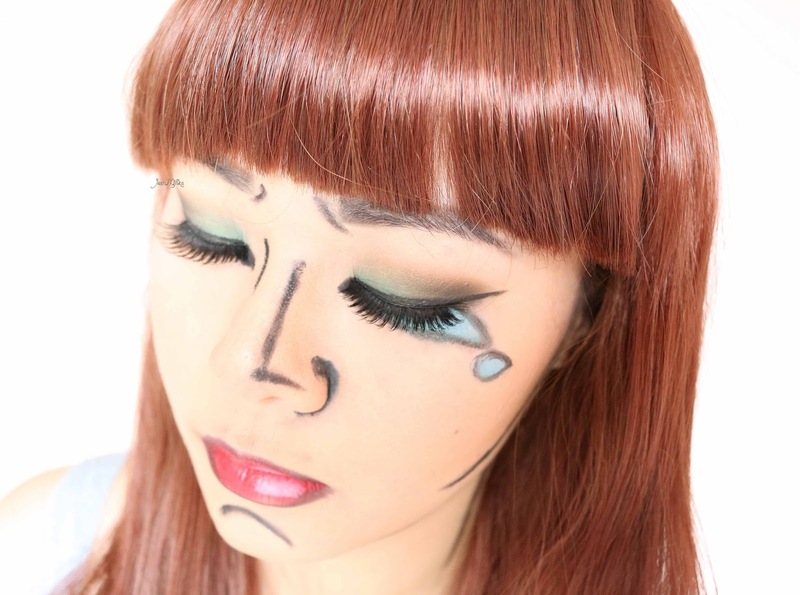 Then I browsed through Pinterest and saw a couple of Pop Art makeup. 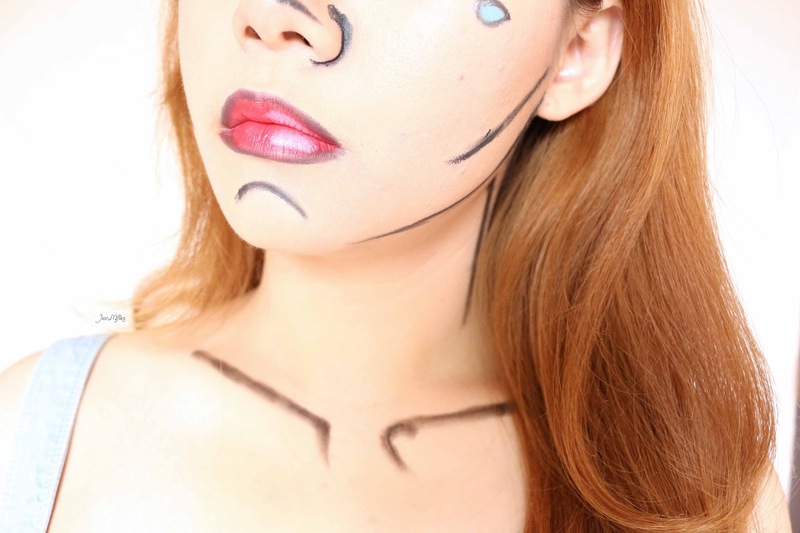 Thanks to Pinterest I have the idea to create a pop art makeup look that is perfect for Halloween season. There are two presentation for this look. The first picture above is me using a red wing. Red is not my type of hair colour. So you guessed it right, the second picture is me with my own light brown hair. I kinda like them both so I decided to present both of them. I hope you enjoying the tutorial. 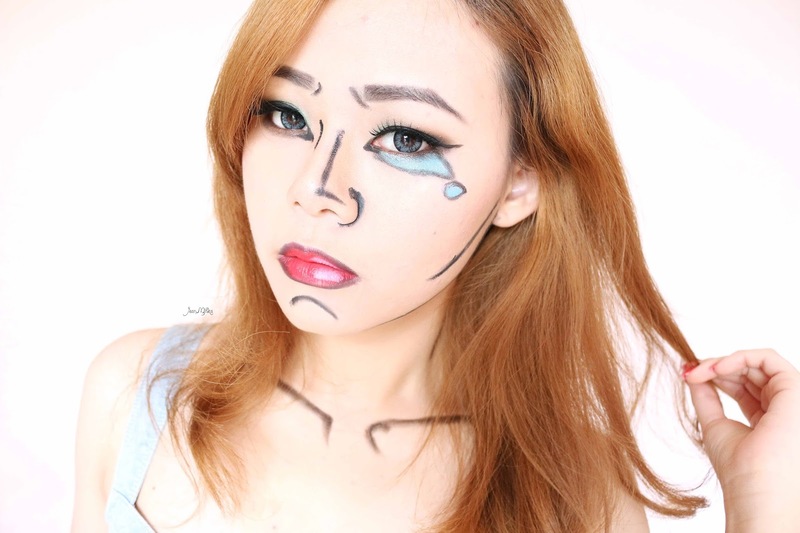 Let me know what do you think about it #pleaseeee ^^. Also, don't forget to subscribe to my Youtube Channel and comment down bellow what video would you like to watch next. 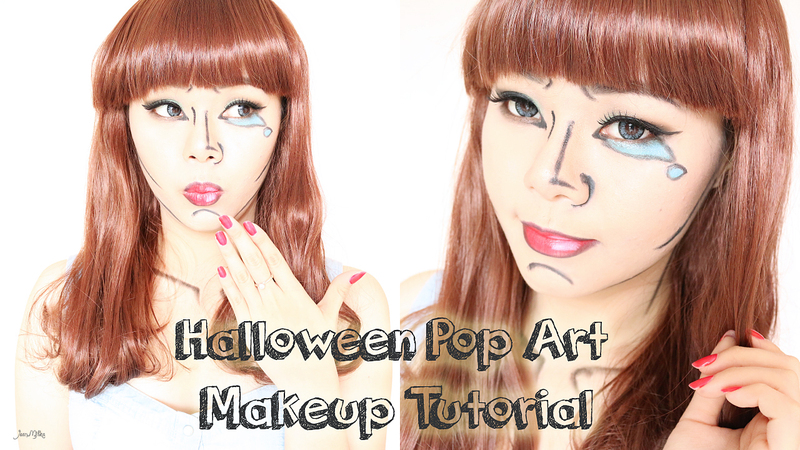 1 komentar on "Halloween Makeup : Easy Pop Art | Video Tutorial"